Do you like catching big nets of fish from wild, natural venues? If so, you will love our December issue! 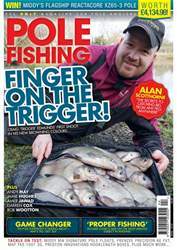 Callum Dicks explains how to make the whip a vital part of your natural-water armoury and father and son duo Nathan and Cameron Hughes head into battle on the fish-filled River Trent near Burton. 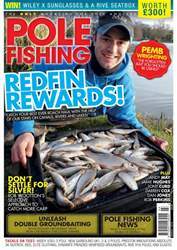 For all you commercial fishing lovers, we tell the story of the man who pole fished his way to angling’s biggest ever prize, and up-and-coming Matrix star Lee Wright reveals how he has qualified for the last two Maver Match This finals on the pole. Plus, we get inside the mind of one of the country’s most in-form anglers, Andy Power, and uncover what makes him tick. For all this and more, download the issue now! 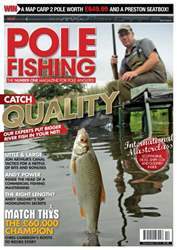 We have one of MAP’s new Competition Carp 2 poles worth £649.99 for you to win AND a brand-new Preston Innovations OnBox 360 seatbox worth £299! One of the best baits on any venue at this time of year is casters. As the water goes clearer, the fish have more time to inspect your bait, making it more important than ever to think about how it looks as it falls through the water. One of my favourite tricks is to take a handful of casters out of my bait box at the start of the session and leave them in the fresh air until they turn a really dark brown. Often, they will float when thrown in the water like this, but with the weight of your hook and shot they sink slowly and appetisingly through the water. 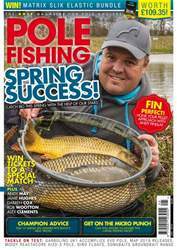 Big roach, skimmers and hybrids simply can’t resist!